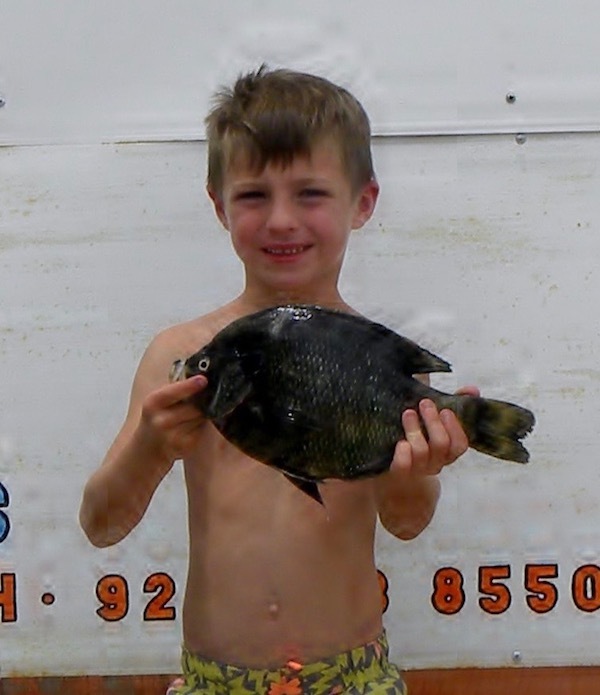 Colton Frye (6 years old) was with family fishing from their boat and landed this 1.86 pound pan fish ( I think it’s a red ear) and it was 13 inches. 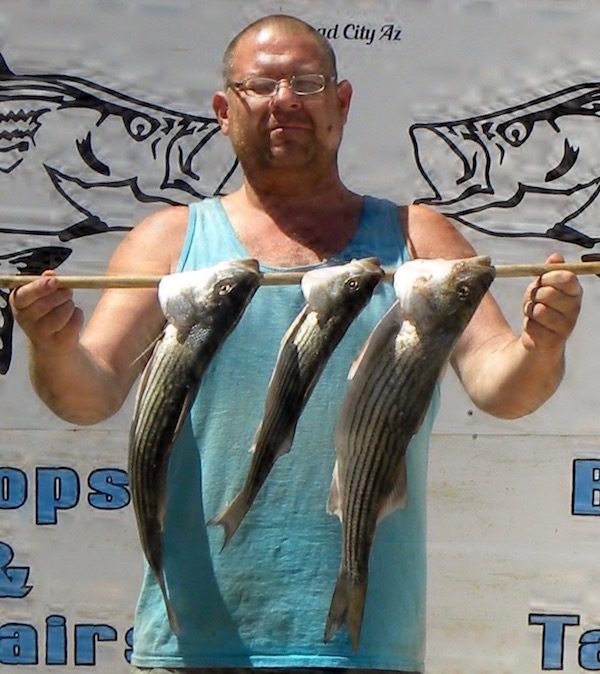 Their was a total of 12 boated they were using night crawlers for bait. This area is know for some of the larger red ear for our area. Our pan fish are just getting off the nest while the large mouth bass have moved on and limits are being taken in the marsh. 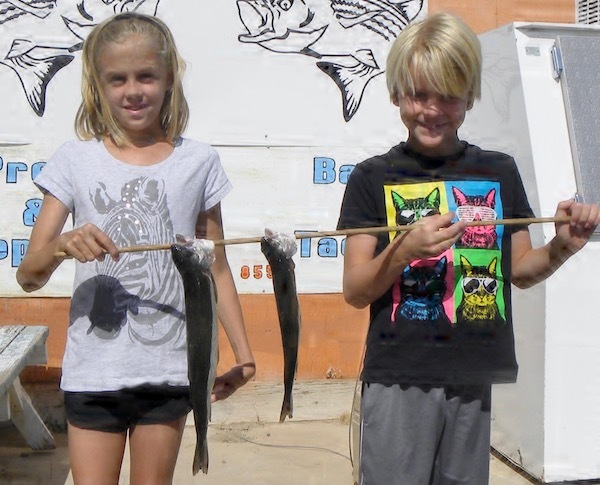 Up stream in the lower big bend area its rainbow trout action. This time of year it’s a good practice to release the trout as long as they have not been stressed. When they have swallowed a hook or spinner you can cut the line, the hook will dissolve. This works as long as you do not see blood. Please keep them if you do as they will not survive. Thanks to our local anglers we are able to get some great samples for our caddis fly issue. The news is the trout are doing a fantastic job at going at this food source which is one of the trout's favorite. Thanks for your support hope this helps and we hope to see you soon! 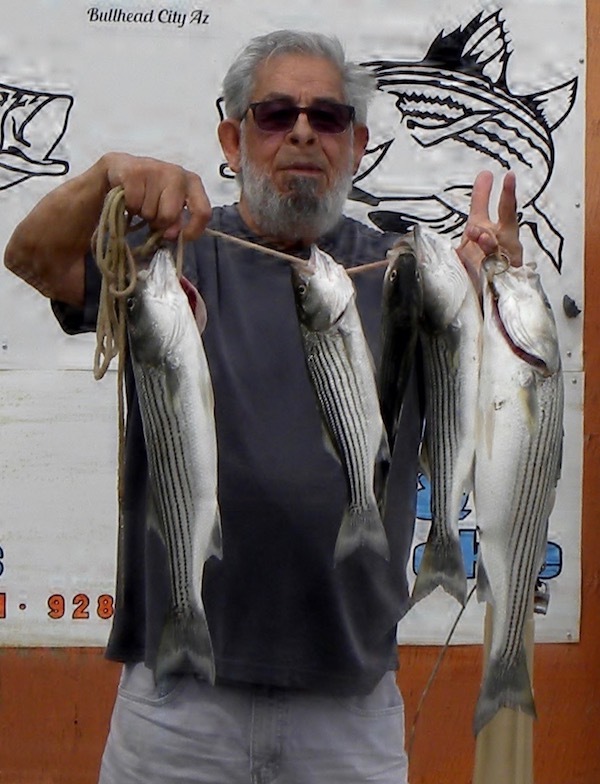 In the chaparral area Gene Tofoya land a few with the larger one weighing in at 3.48 pounds and 22 inches. gene was fishing from shore using anchovies.